I Was Injured In an Accident With a Semi Truck - What Are My Legal Options? Posted on 04/25/2017 How Can You Avoid 10 Costly Mistakes in Dealing With Your Medical Providers? Semi truck accidents are a serious matter, especially for motorists severely injured in crashes. Victims of large truck crashes have strong legal protections if they were not at fault in the accident. It's important that victims understand their rights and responsibilities when pursuing legal action against a trucking company. Many heavy truck crashes are caused by driver error -- things like sleep deprivation, use of prescription or recreational drugs, speeding, inattention, distractions, work stress, and unfamiliarity with the road. Mechanical problems account for many of the other crashes. Depowered front brakes, failing to replace tires and transmission failure are some common mechanical problems. Other causes of truck accidents include loading errors, improper securing of loads, improper load distributions and manufacturing errors. A duty of care between the parties. The defendant breached that duty of care. The breach caused the injury to claimant/plaintiff. These lawsuits typically hinge on whether a truck driver or other party acted negligently and failed to provide reasonable care to prevent injuries to others. Speeding and exceeding the hours-of-service limitations are examples of negligent behavior that may leave a party liable for injuries. Iowa is a modified comparative fault state. An accident victim must be less than 51 percent at fault in an accident to recover damages. But the victim's damages are reduced by the individual's percentage of fault – so if the victim was 10 percent at fault and suffered $10,000 in damages, damages are reduced by $1,000. All parties involved in the trucking industry, including trucking companies, mechanics, truck manufacturers, and loaders, may be legally liable if their actions caused an accident. FMCSA regulations govern numerous things like how long a driver can stay on the road without a break, mandatory drug testing for drivers and load weight limitations. A violation of one of these rules may be a sign of negligence. If it caused or contributed to an accident, the party in violation can be liable. A trucking company could be held liable in the event one of its drivers causes an accident. These companies are responsible for their drivers' actions, so if one of them caused your accident, it may be liable in any legal action that results from the incident. 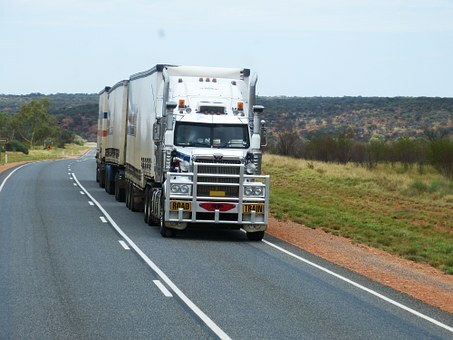 Trucks often carry onboard devices that record driver actions while the truck is on the road. Companies maintain these records and other logbooks according to federal laws and company policies. If a victim thinks these records – or other evidence in the truck company's possession – could be relevant in a legal action, then an attorney can send a spoliation letter to the company to preserve it. For this reason and others, contacting an attorney after a truck accident is often a good idea for accident victims. Walker, Billingsley & Bair is prepared to act fast to defend your rights after a truck accident in Newton. Contact our office at 888-435-9886 to speak with an attorney.